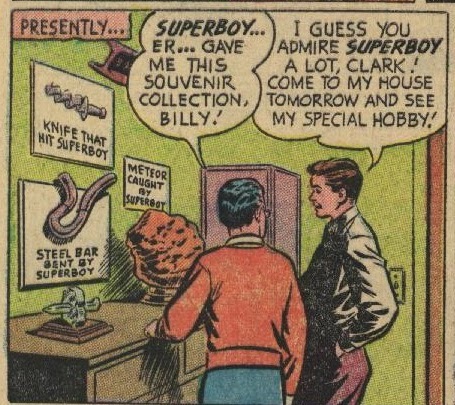 Usual comic book serendipity thing. 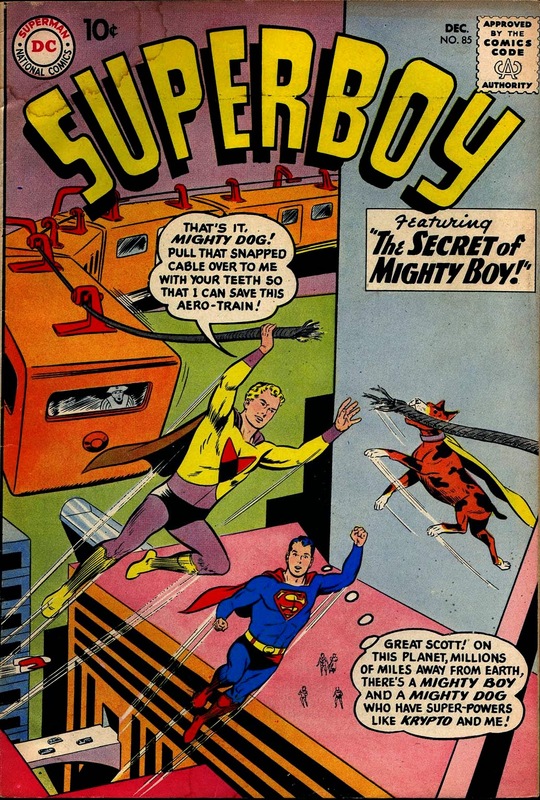 I was poking through some back issue bins at the local comic shop and I came across some issues of a comic called Myth Adventures, liked the cover art and picked a few up. 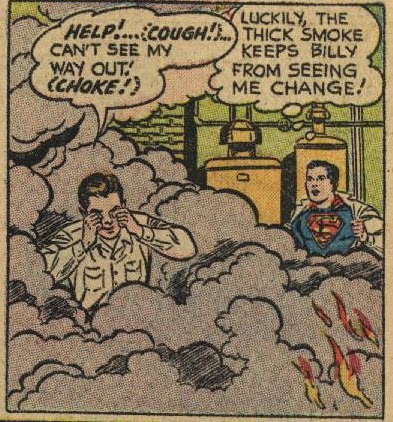 And four hours later I decided I should link it. 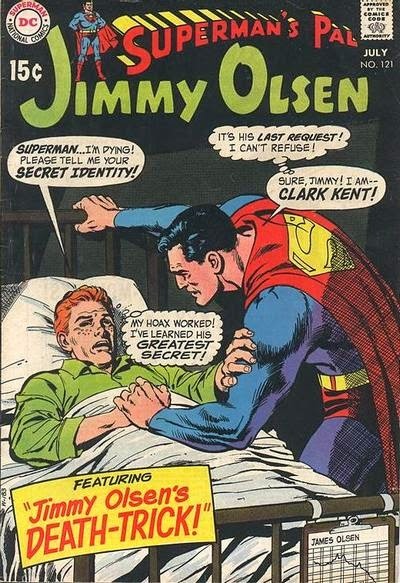 Holy crap, this series is so much fun. 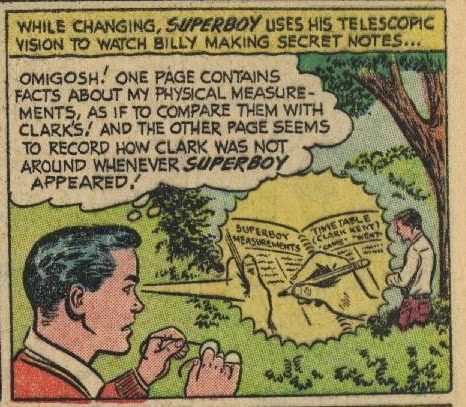 It's not like I can claim to have discovered it; I suspect most of you have been reading it for years. 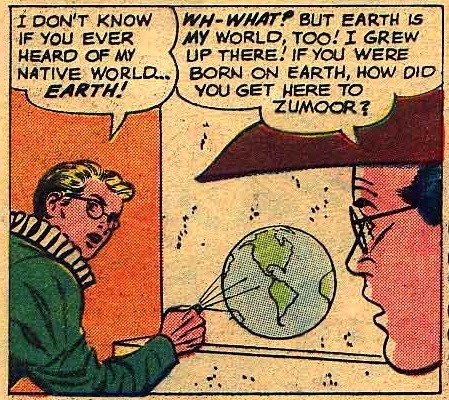 But if you haven't, you definitely have to go check it out. 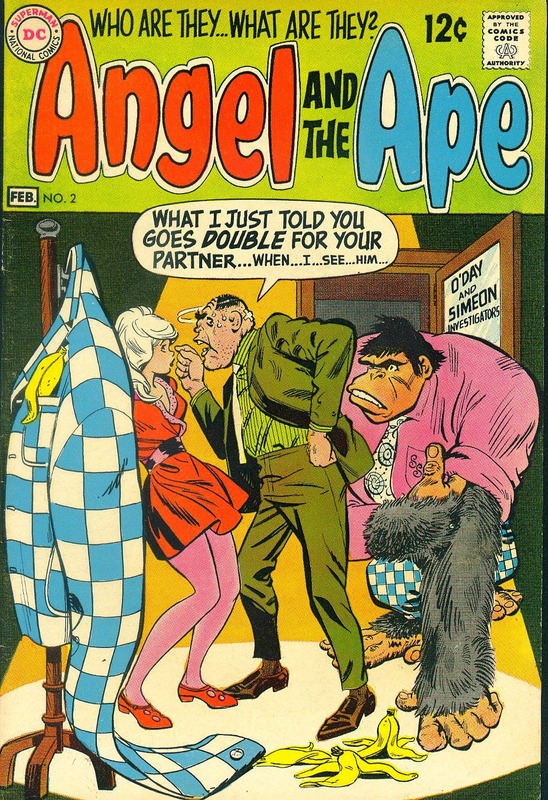 The art has the perfect humorous style, and the story... well I've been reading it for four straight hours and am absolutely transfixed. 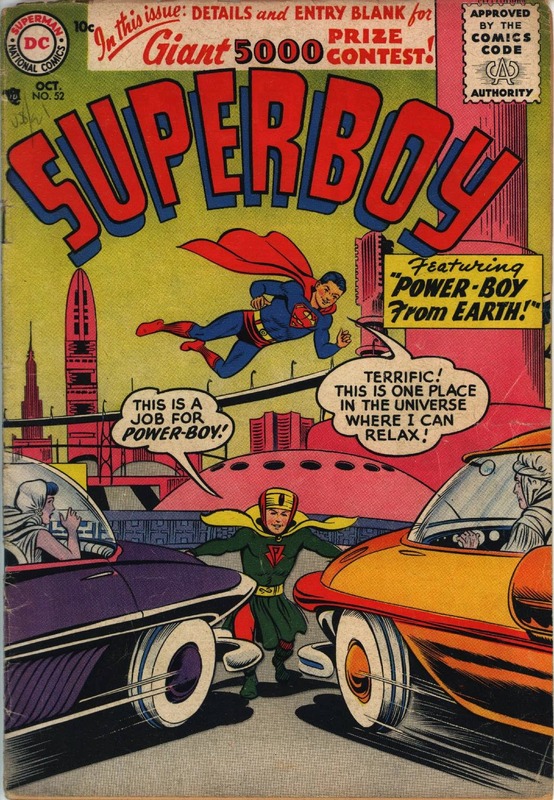 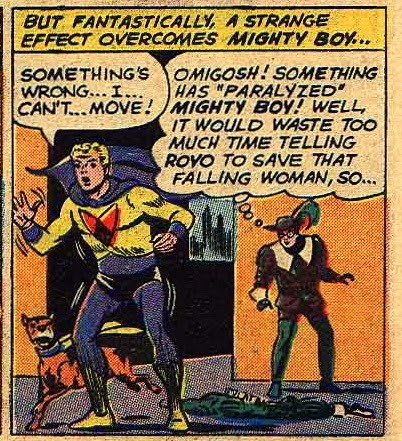 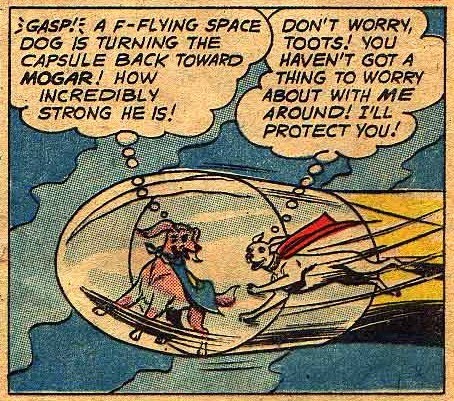 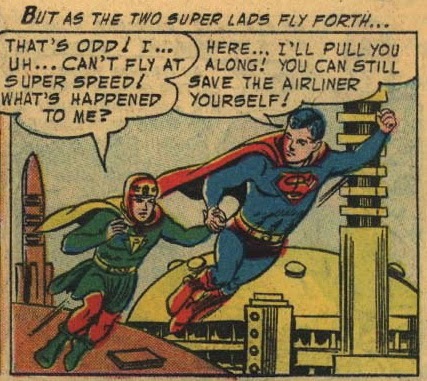 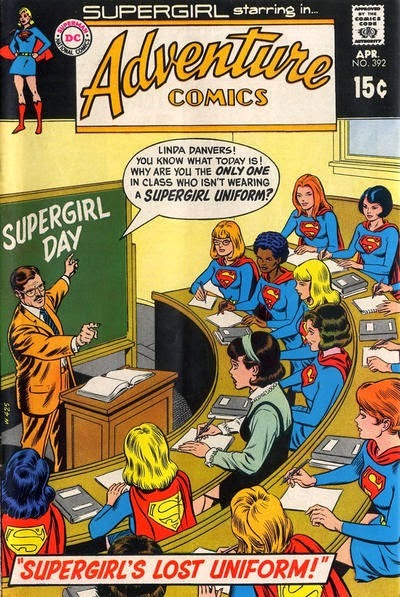 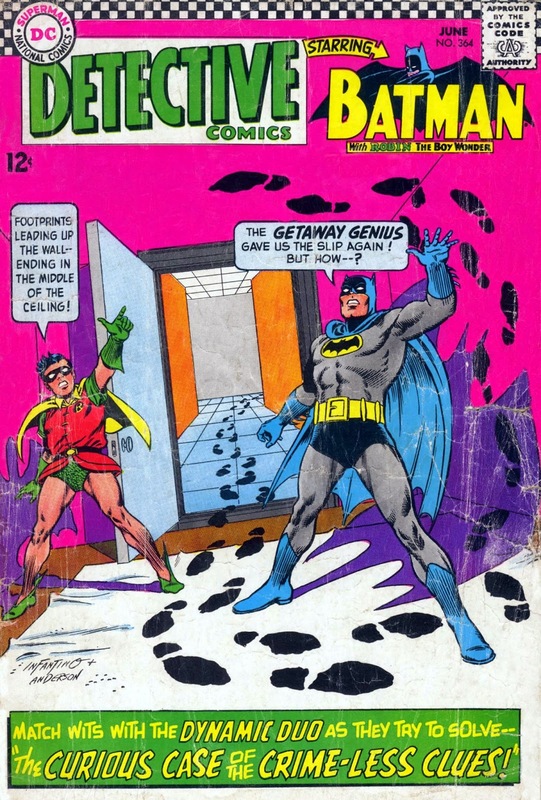 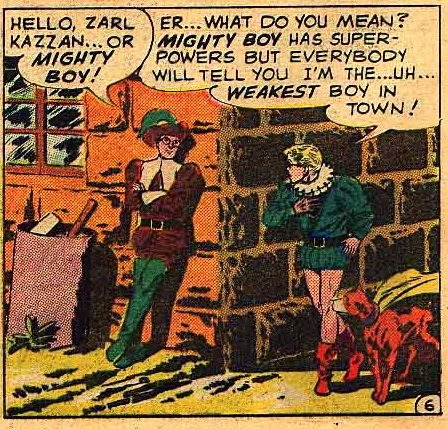 Of all the quirky titles that DC published near the end of the Silver Age, this must surely be the oddest. 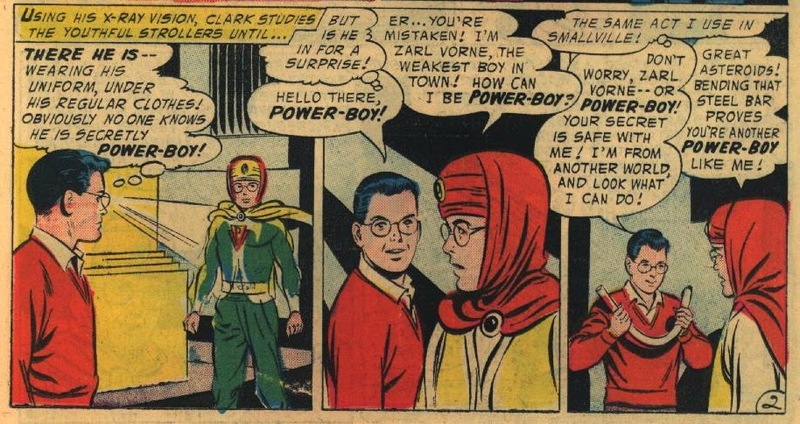 Well, side from Brother Power the Geek. 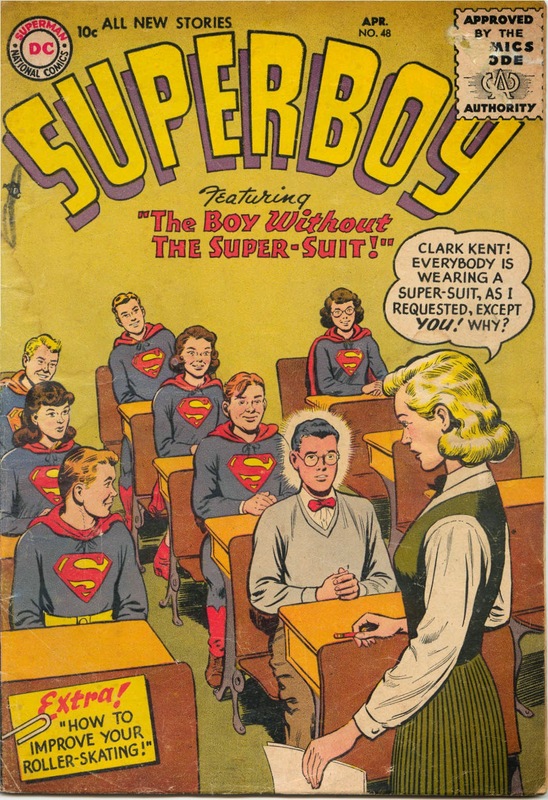 This happens to be the only issue I own; I don't think I've even read another. 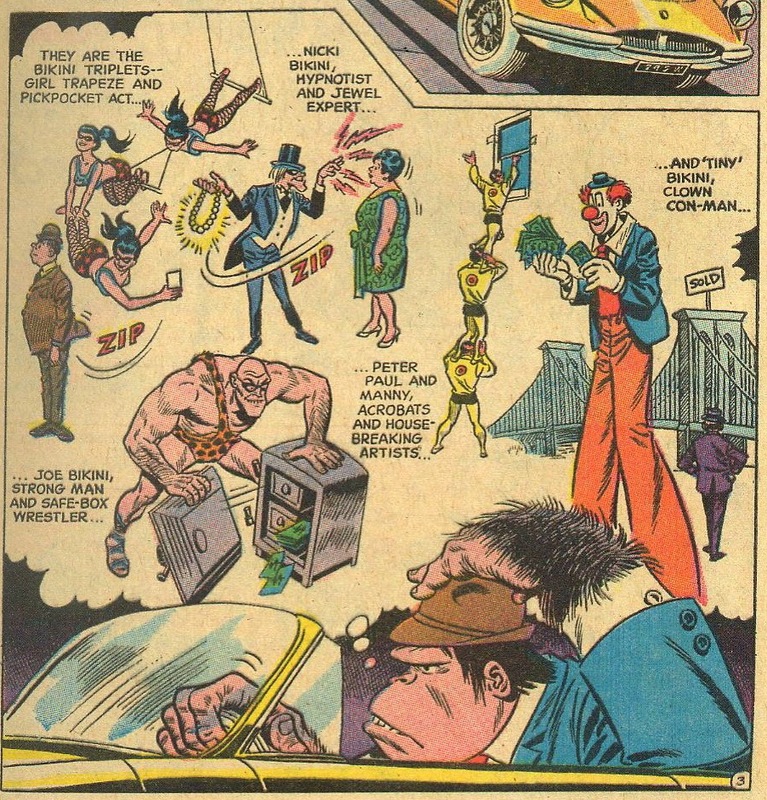 The talent is certainly first-rate: Sergio Aragones on the script and art by Bob Oksner and Wally Wood. 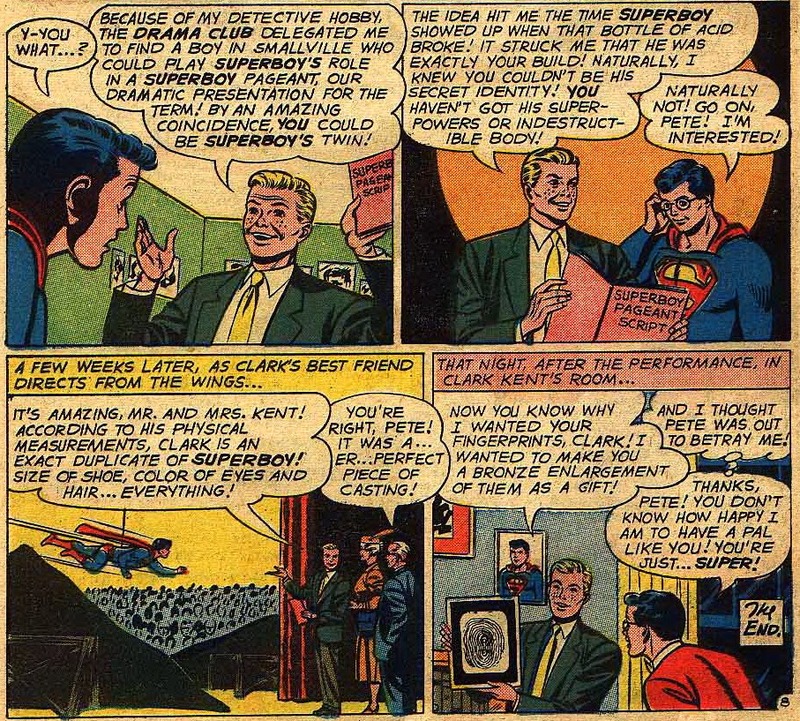 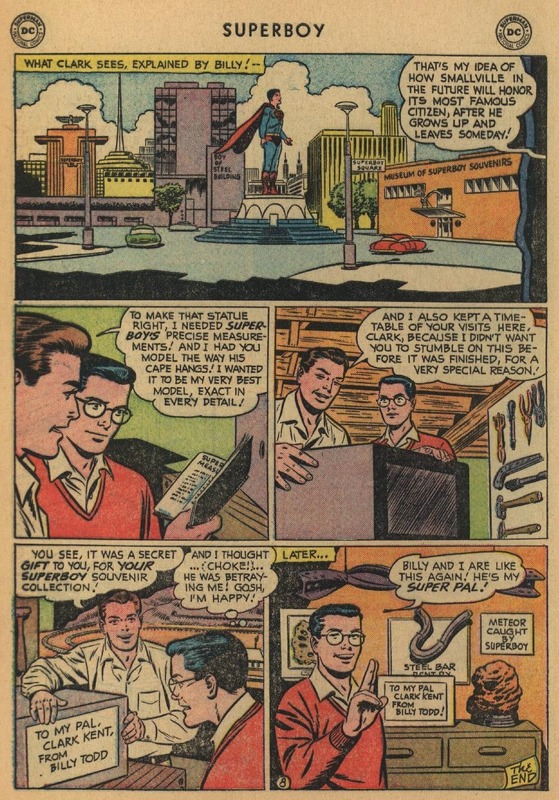 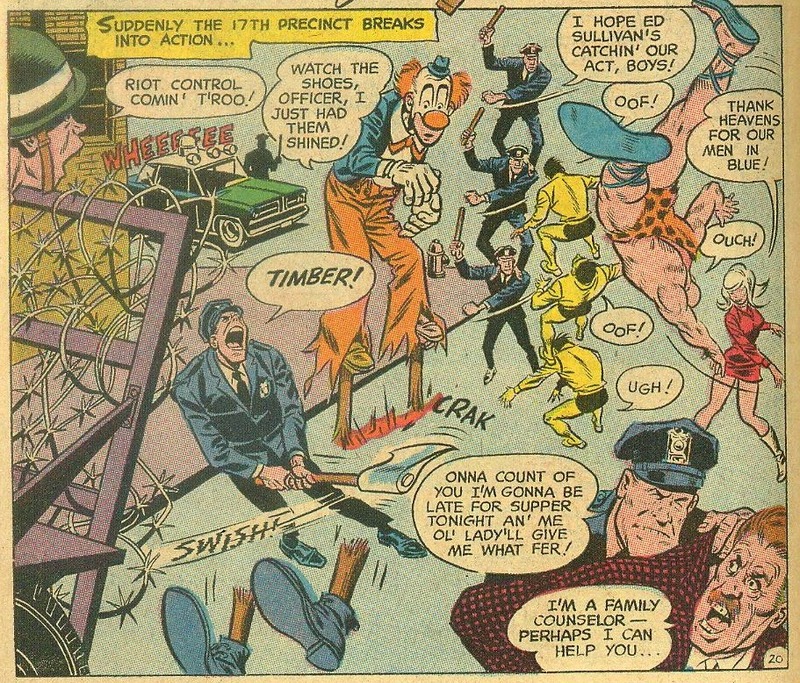 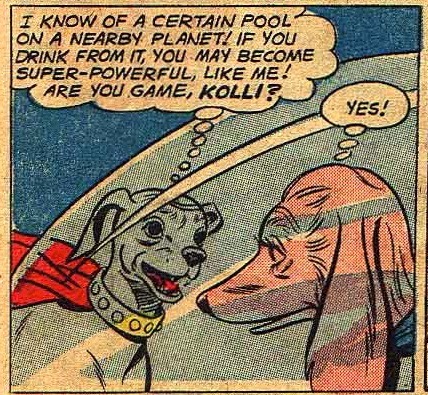 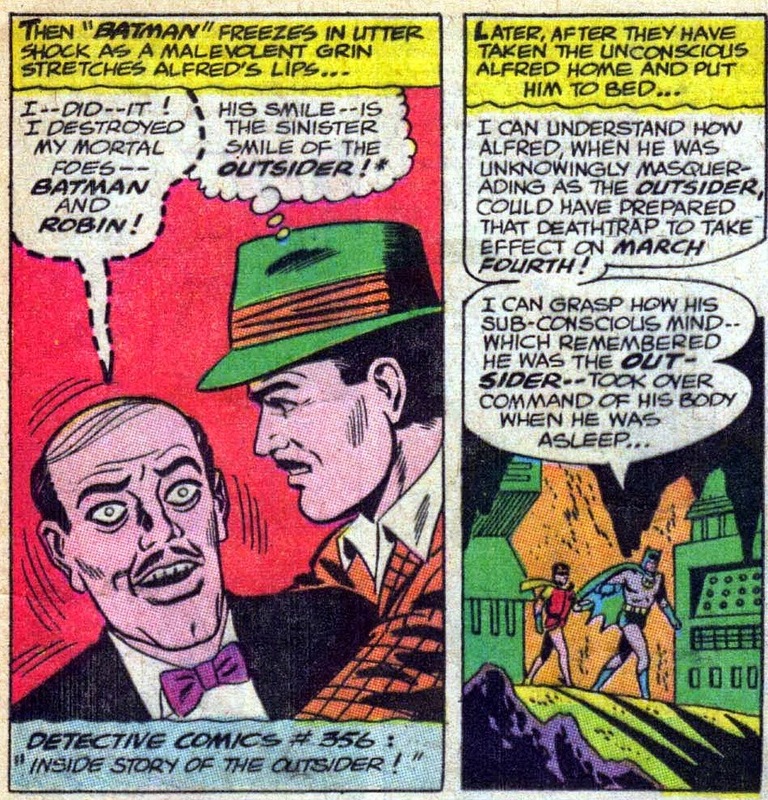 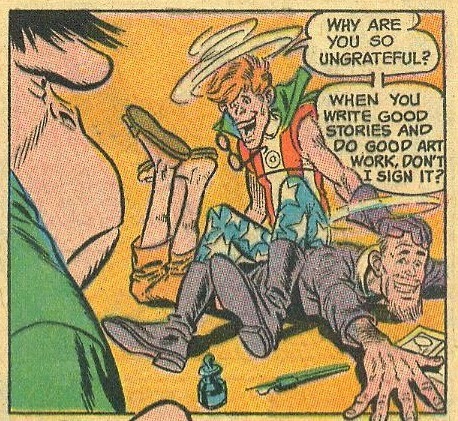 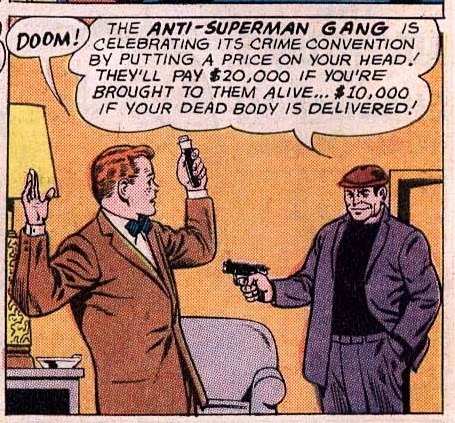 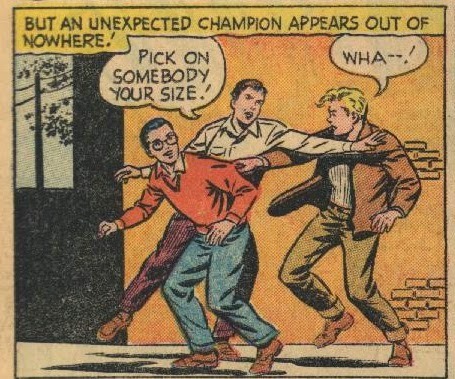 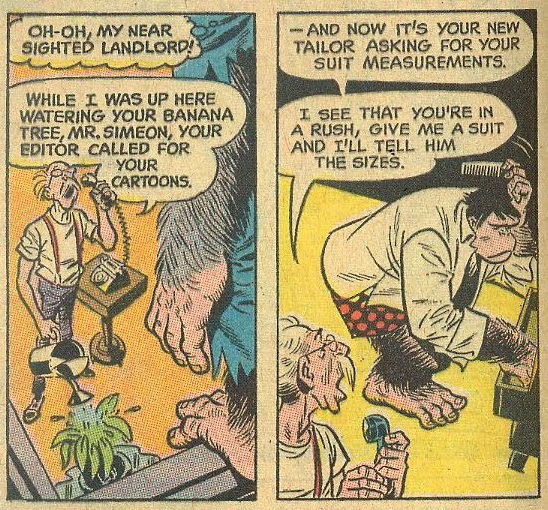 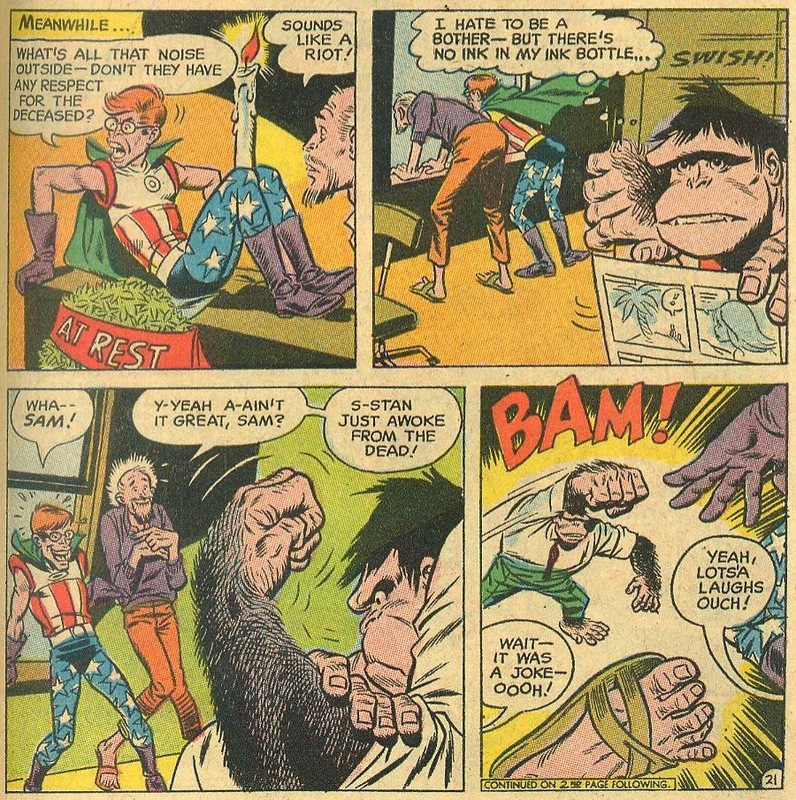 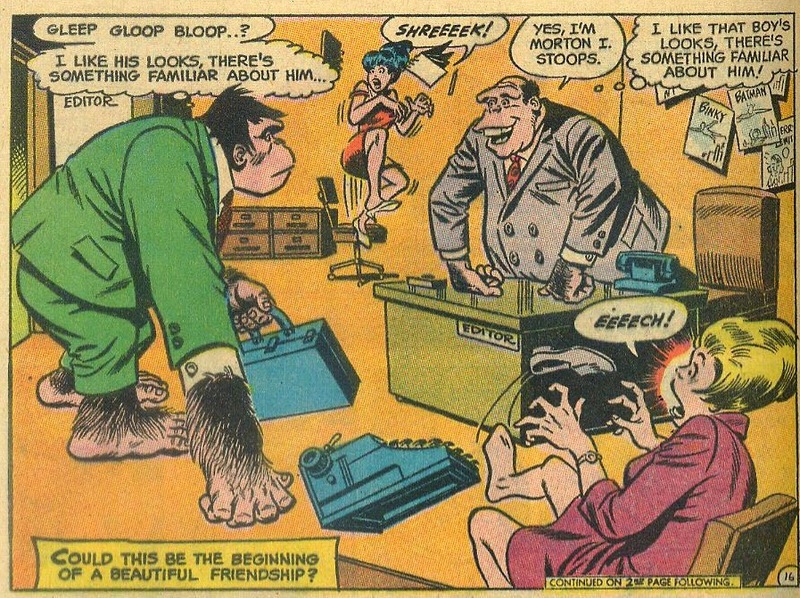 Oksner is probably the least-known today of that trio, but in the 1960s he was DC's go-to guy on humor. 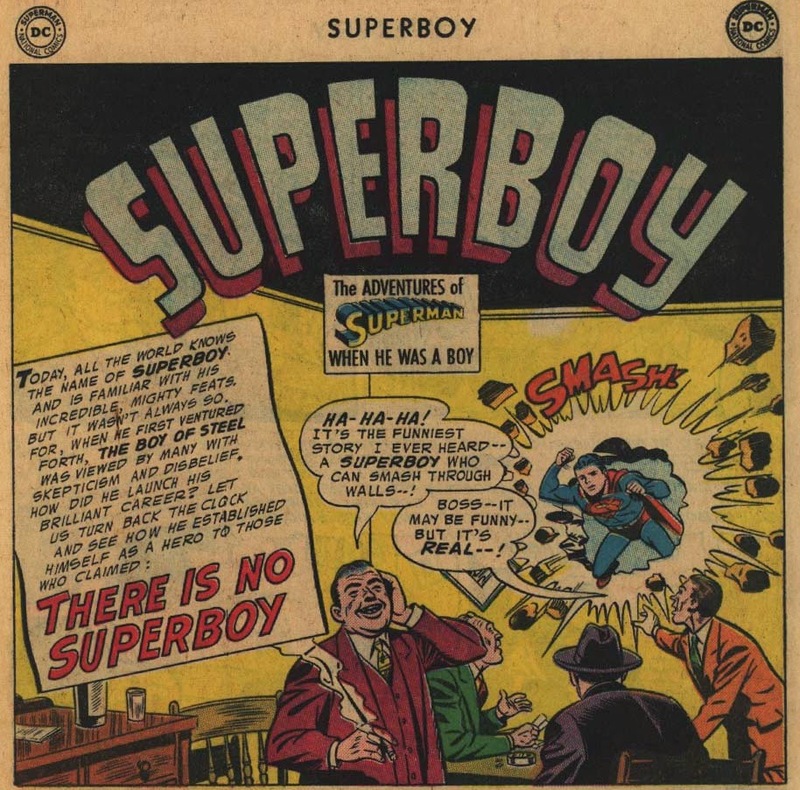 Apparently the premise of the series is that Angel O'Day and Sam Simeon are partners in a private investigation office, although in this issue there is no evidence of a client; they more or less function as law enforcement. 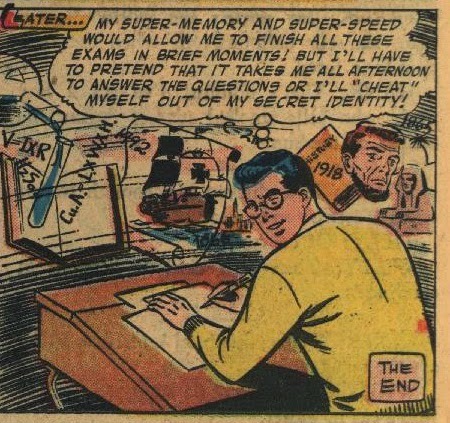 Sam has another job on the side; he's a "cartoonist" for Brain Pix Comics, where his boss is the wacky and devious Stan Bragg (obviously intended as a parody of Stan Lee). 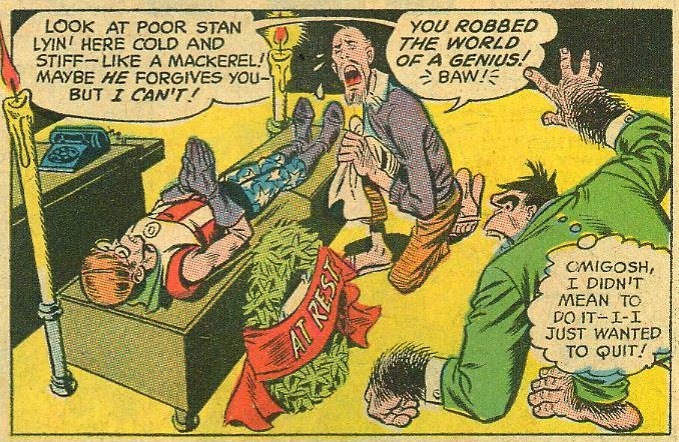 Stan's assistant convinces Sam to stay at Brain Pix in order to atone for the "death" of Stan. 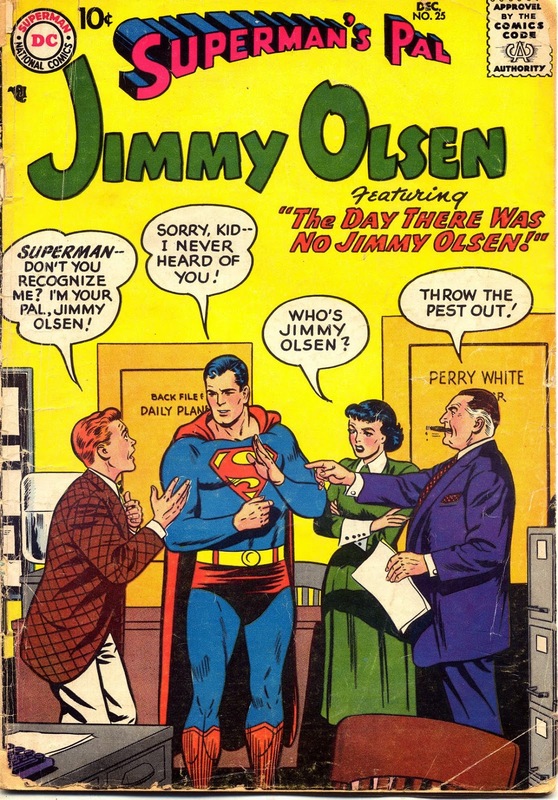 Overall the issue is amusing, if not quite laugh out loud funny, and the artwork is terrific. 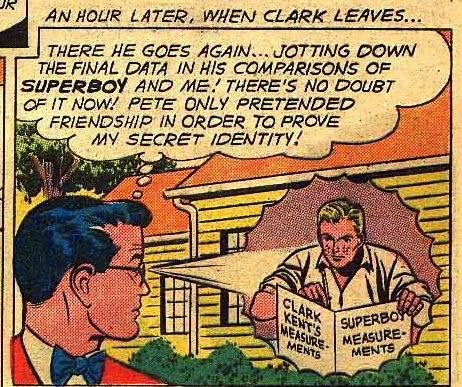 Why would he put that postscript in there? 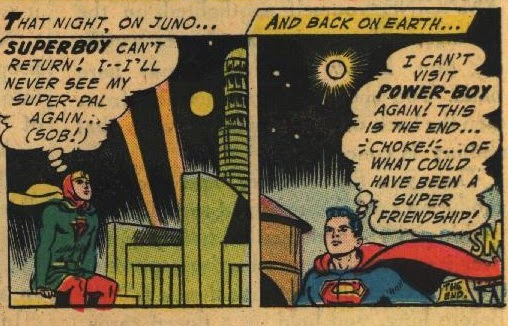 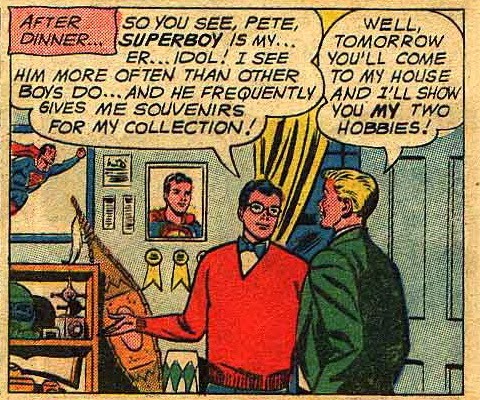 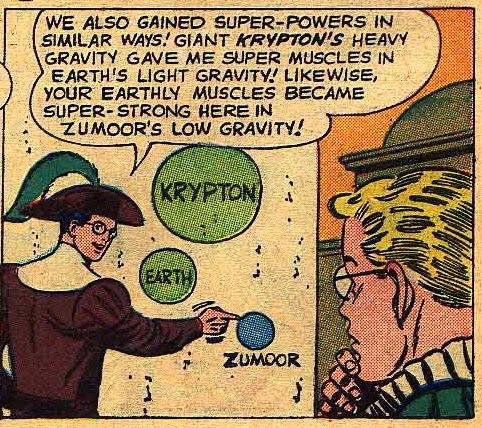 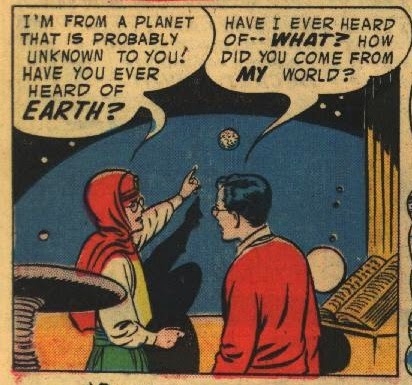 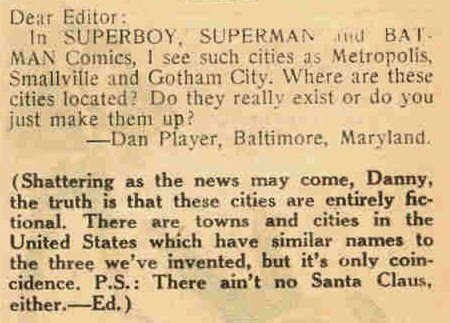 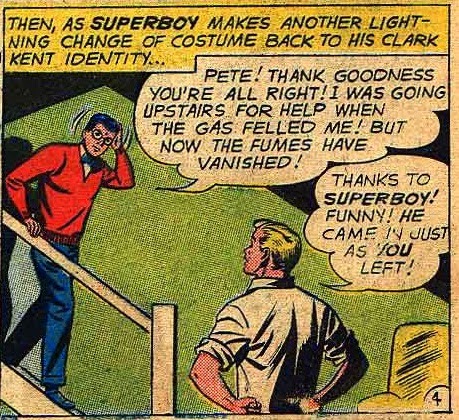 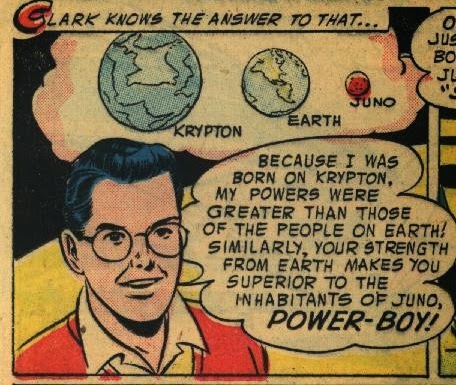 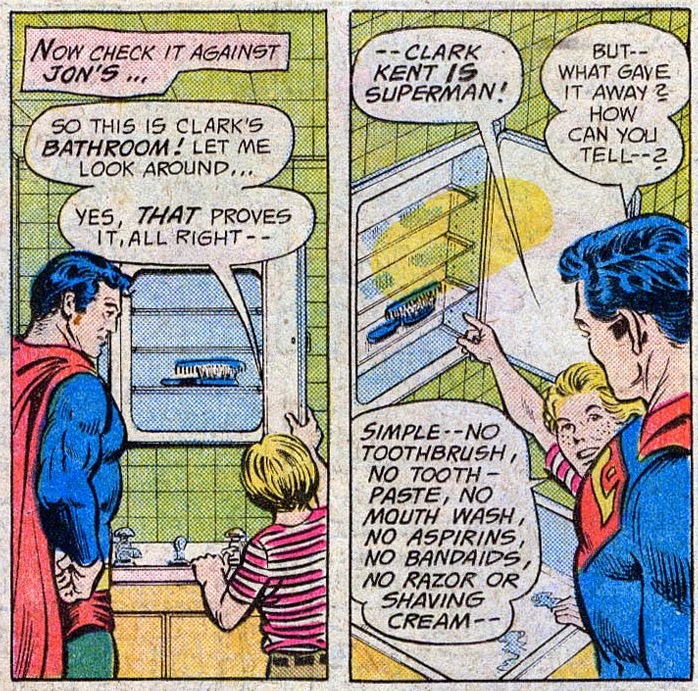 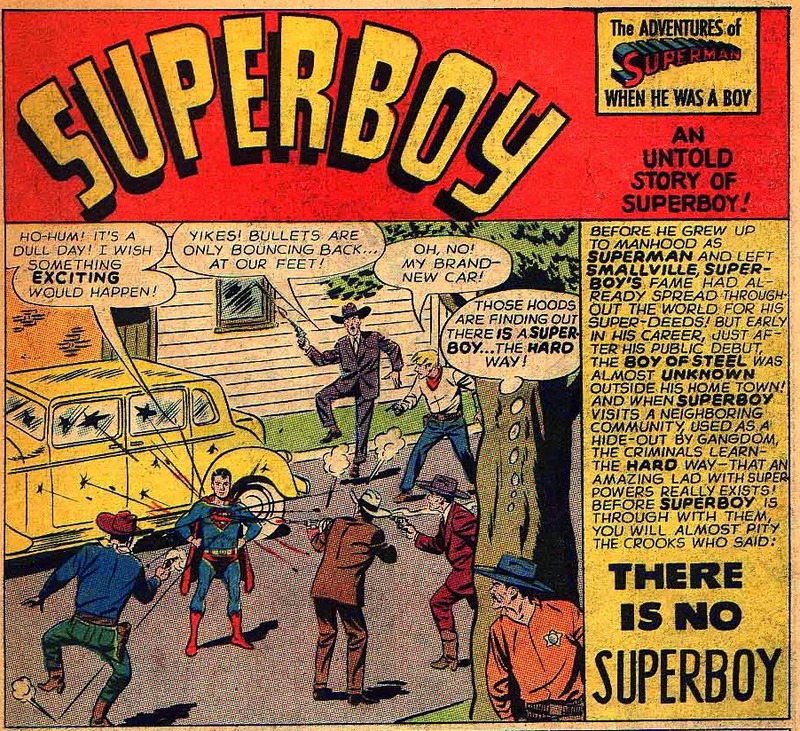 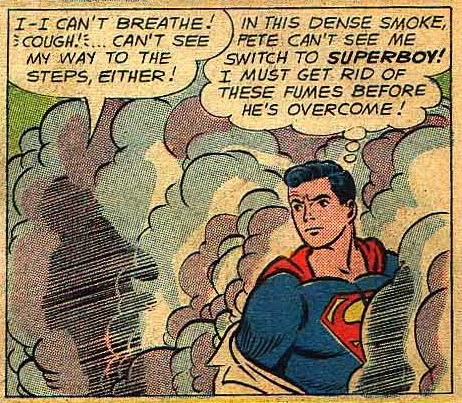 He had to know that there were plenty of Superboy readers who were still at the age where they believed in Santa. 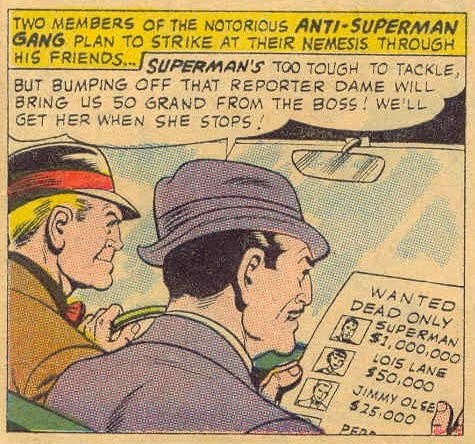 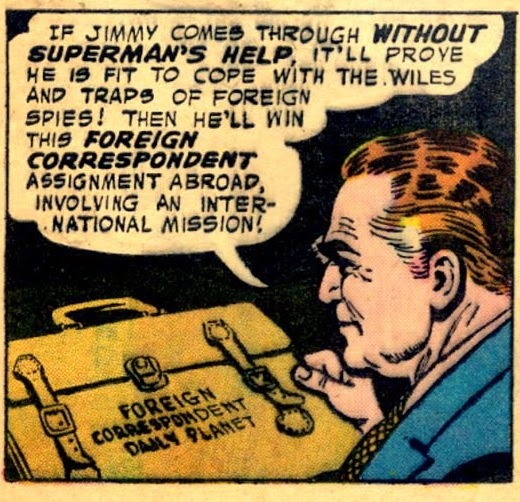 It's hard to come up with a reason other than the obvious; that Weisinger was a first class jerk. 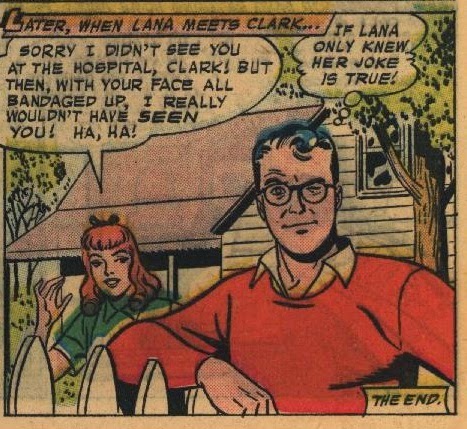 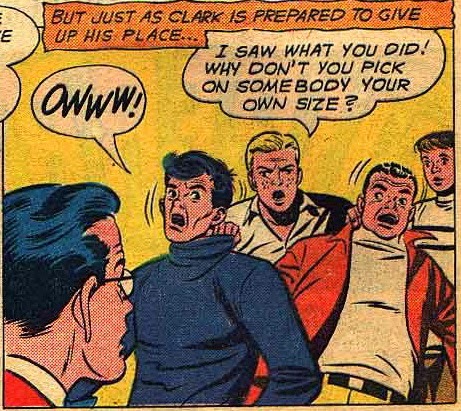 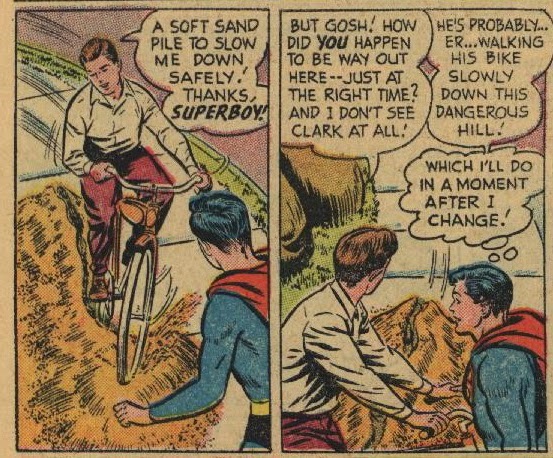 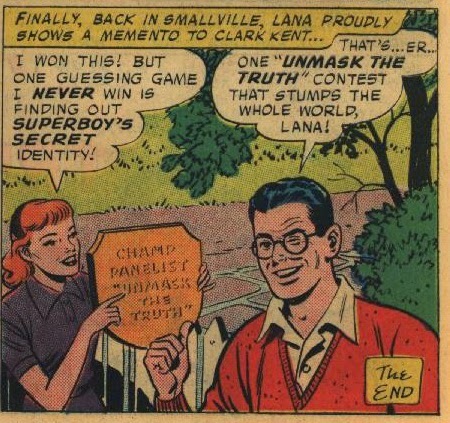 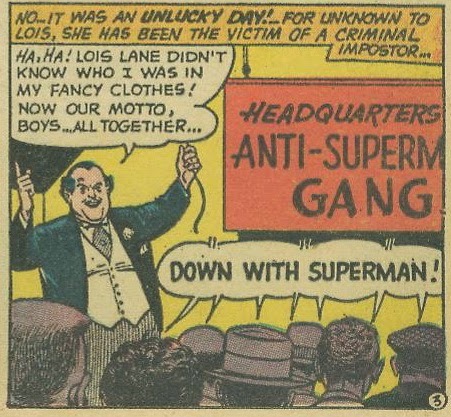 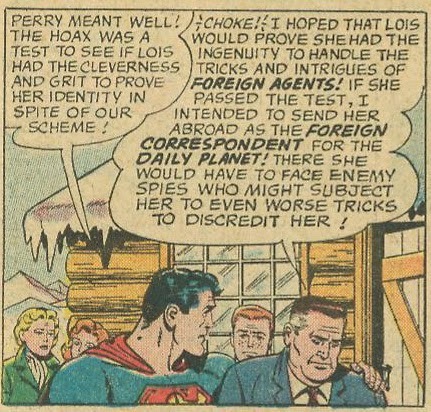 The winks tend to happen at the end of secret identity stories; I'm sure there are plenty of examples in Superman as well. 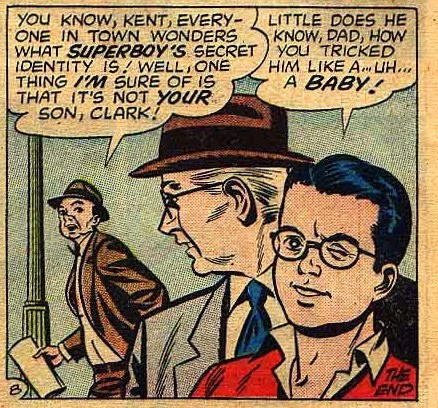 This is somewhat akin to the "Ending with Iris" bit in the Flash, and the "Bah!" 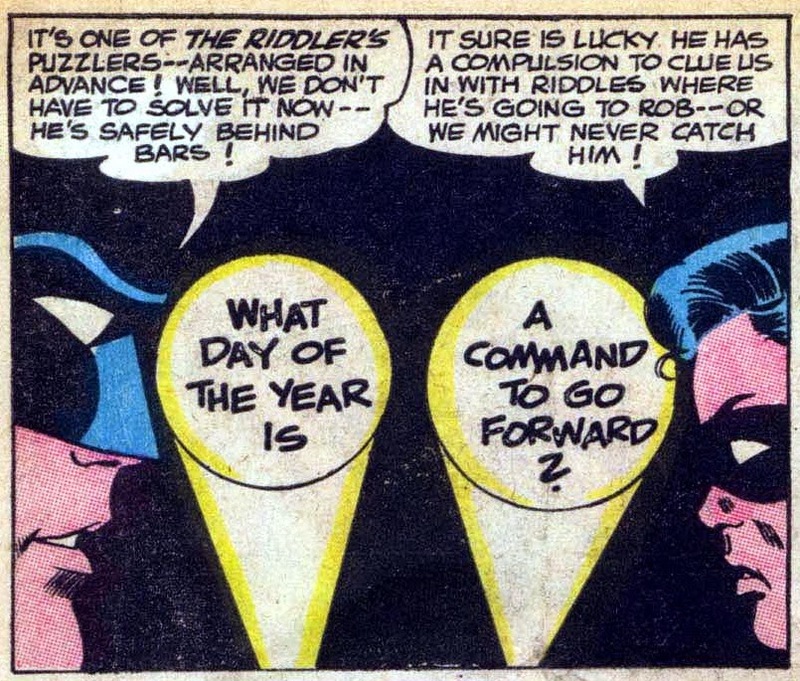 responses from the Joker; a way of letting us know the story is over.